The Polytron 2 transmitter is an intrinsically safe gas detector for continuous monitoring of toxic gases and oxygen in ambient air. 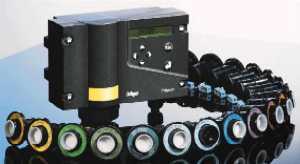 The transmitter uses state-of-the-art microprocessor technology to convert the signal from an electrochemical DraegerSensor® to a 4 to 20 mA analog or a HART® digital signal output. The unit is designed for one-man calibration, and offers a variety of diagnostics and self test features. The configuration and calibration of the transmitter is menu guided and easy to perform, using either the built in push buttons or a HART hand held terminal. UL, CENELEC, CSA approved to be installed intrinsically safe in classified (hazardous) areas: Class I, Div 1, Groups B, C, D; Class II Groups E, F, G and EEx ia IIC T6. IIC T6.